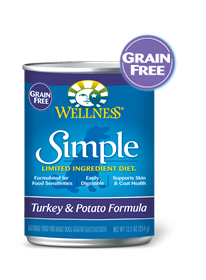 At Wellness, every ingredient we choose has a purpose, especially when it comes to dogs with food sensitivities. 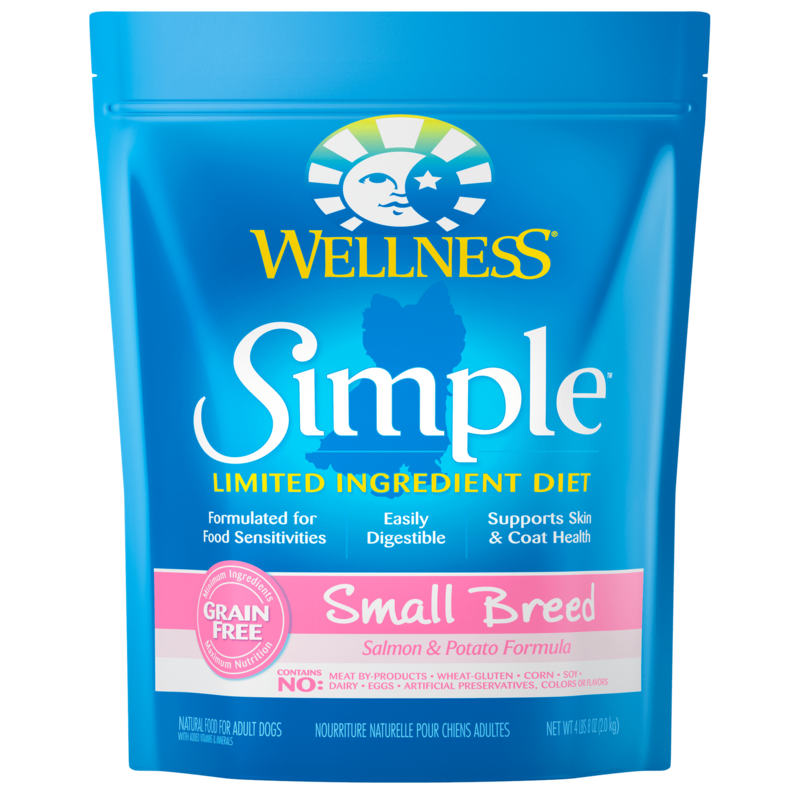 Our natural, limited-ingredient recipes keep it simple with a single source of protein and easily digestible carbohydrates, without extra fillers or additives. This short, yet complete, list of key ingredients nourishes simply and completely from the inside out with results you can see. Just like all Wellness® recipes, what stays out is as important as what goes in, so we don’t use wheat, corn, soy, gluten or artificial preservatives, colors or flavors in this simple formula. 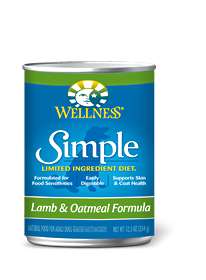 As animal lovers, nutritionists and vets, our mission is to provide your pet a healthy, happy, long life through the power of natural nutrition. 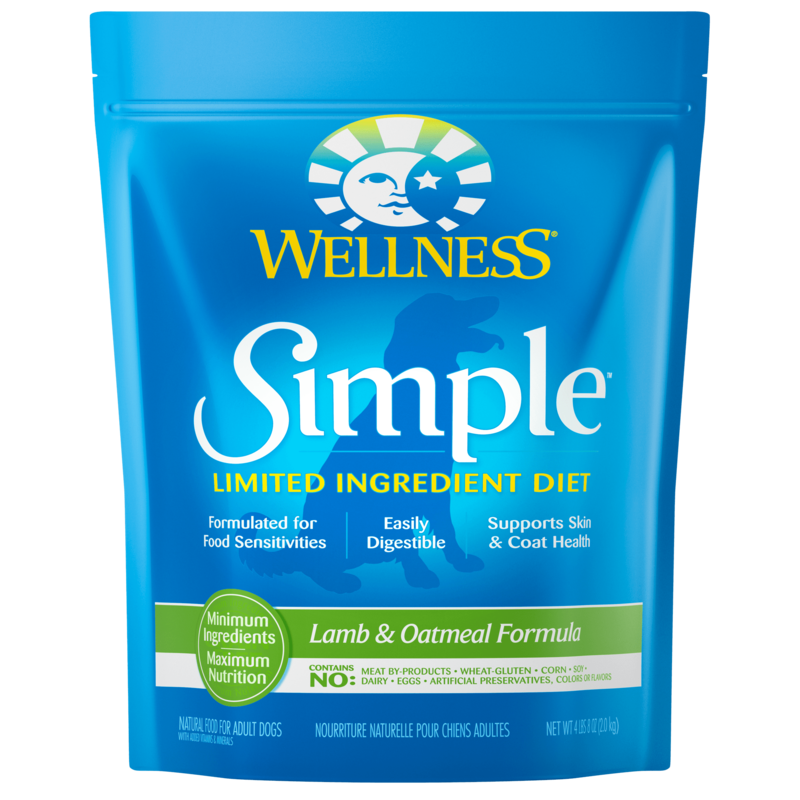 Simple is a natural alternative to the therapeutic diets most commonly prescribed to dogs with food allergies & food sensitivities. 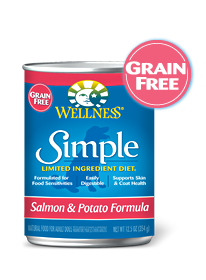 (Dogs with food allergies & food sensitivities should always be under the care of their veterinarian).